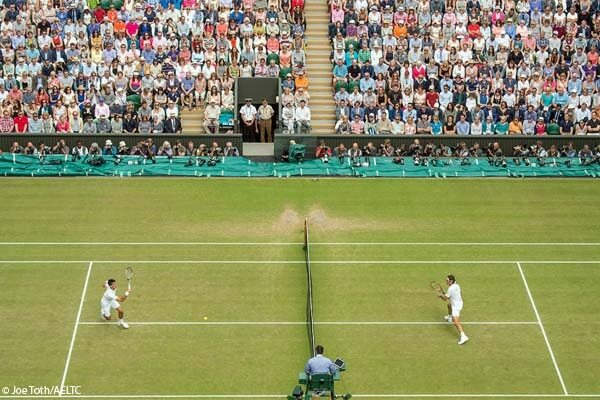 If you can’t make it there to enjoy strawberries and cream at Centre Court, you can catch the action on the Tennis Channel series Wimbledon Primetime, which offers seven nightly hours of original Wimbledon programming beginning June 27. The first four-hour edition each night will include three hours of on-court stories and encore match coverage, followed by an hour of fast-paced highlights and interviews. This will be followed immediately by a second edition with three entirely new hours of the day’s best tennis, before the concluding catch-up hour. Moreover, the program will run every night of the tournament, through the final on Sunday, July 10. To help put you in the proper mood, we present the top British and Irish Pubs in New York, Los Angeles, San Francisco and Chicago. Enjoy a pint and some shepherd’s pie while rooting on Djokovic, Babos, Murray, Williams or your favorite tennis player. Cheers!